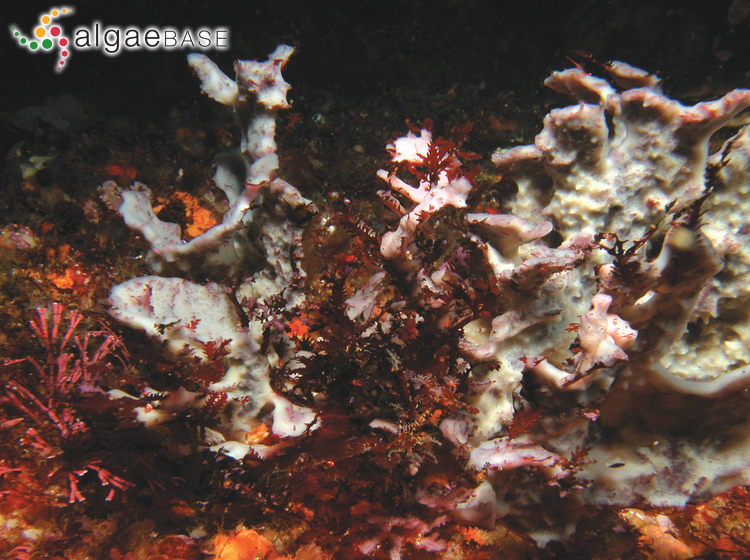 KwaZulu-Natal; grey areas are sponge. Heroen Verbruggen. © Heroen Verbruggen (heroen.verbruggen@gmail.com). Published in: Tronchin, E.M., De Clerck, O., Freshwater, D.W., Bolton, J.J. & Anderson, R.J. (2004). Ptilophora leliaertii and Ptilophora coppejansii, two new species of Gelidiales (Rhodophyta) from South Africa. European Journal of Phycology 39: 395-410. Accesses: This record has been accessed by users 683 times since it was created. Tronchin, E.M., De Clerck, O., Freshwater, D.W., Bolton, J.J. & Anderson, R.J. (2004). Ptilophora leliaertii and Ptilophora coppejansii, two new species of Gelidiales (Rhodophyta) from South Africa. European Journal of Phycology 39: 395-410.